A hundred years ago… today, the 22nd of February, the Russian Army stemmed the German advance at the 2nd Battle Of The Masurian Lakes (despite a defeat enumerated by 200,000 casualties against 16,000), and South African forces made further advances into German South-West Africa (now Namibia); on the 23rd British Marines moved on to Lemnos (an Aegean island annexed from the Ottoman Empire by Greece in 1912 – and scene of the remnants of Sam Sutcliffe Battalion’s 1915 Christmas dinner! ), and a couple of days later began operations against Turkish Dardanelles forts to prepare the way for the Gallipoli invasion; and, of course, the attritional grind of the Western Front trenches continued. The present, happier way of life put him in a state of optimism and appreciation of the moment’s blessings – able, for instance, to largely ignore the unappetising, badly cooked and underdone food still served to them, regardless of calmer seas. Strong tea, often taken with hunks of bread and watery jam, usually passed for breakfast. That jam wouldn’t have fetched tuppence a pound in a grocer’s shop; issued in tins and made by a firm seldom heard of before or since that war, it needed no spoon, it ran like water. Even the boy could guess at the sort of profits the villains made and, in idle moments, soldiers discussed what they would like to do to the manufacturer and the people in authority who placed the orders and, no doubt, shared his gains and guilt. ‘At the end of a day of calm and deep blue sea, the sun hovered for a while, apparently, at about 30 degrees above the horizon before finally dropping towards the water. Tommy watched it descend; the whole sphere rested on the sea’s surface for a moment, then it quickly sank to three-quarters, a half, a quarter, then nothing remained save a bright glow, and that only briefly. Darkness came and, with a small amount of lighting permitted at that time, Tommy had flickering reflections to watch and accompany romantic, boyish thoughts. Leaning on the rail, he was joined by Jimmy Green, a nice fellow with whom he had chatted occasionally – probably four years older than Tommy, he belonged to G Company, Ted’s lot. 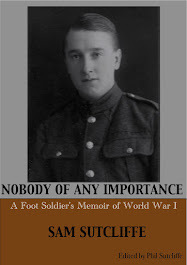 Several months in the Army had not hardened or toughened Jimmy. His blond hair and pale face had that fresh, cared-for look Tommy already associated with the upper middle classes. One wondered how these types achieved it. Ordinary blokes well washed and scrubbed looked fine, but still ordinary. The Jimmy Greens of that period had quit their usually pleasant occupations and homes, generally on patriotic impulses. Their parents must have been terribly shocked but, in many instances, ensured their sons would at least have the King’s commission to cushion them against the worst buffetings of war… well, to some degree. Jimmy’s gentleness and trustfulness, his gay, white-toothed smiles, induced in Tommy a feeling of untaught inferiority which, he hoped to goodness, didn’t show. Green responded with immense interest to this lie and begged for more details. Tommy promised to return to the subject later, but pleaded the urgency of a visit to the Ohang, as the bog had become known. Leaving Jimmy, he actually entered the place convulsed with laughter, but also feeling somewhat uneasy about the silly untruth. Anybody but Jimmy would have jeered jovially and perhaps called him something chummy like “You lying little sod!” and the boy might have had to duck a sideswipe, but no harm would have been done. ‘On the third day after Gibraltar, a blur on the horizon rapidly took shape as an island and the ship approached it at what appeared to be almost indecent speed for the old tub. Tommy was so enjoying his first Mediterranean cruise that the sight of land ahead failed to excite him. For an hour or two, the ship lay off the island, just outside a bay with rocky headlands at each extremity, a lookout tower on each. Beyond the shore, the land rose gradually in levels defined by walls, with some houses visible of a type which pleased Tommy’s eye. In England most houses had roofs of blue-grey slates sloping from a ridge – frequently seen against a grey sky, often in chilly, wet weather… the lad’s mind associated them with feelings of depressing discomfort. But here the houses – some in groups, others isolated – all had flat roofs, their walls white or cream or pastel shades of yellow or green. At that distance, under a blue sky, the bay appeared to be the home of wealthy, fortunate people, living in abodes of luxury and romance. Tommy concluded that the possibility of being put ashore in this heavenly place must be remote, but he enjoyed the experience of gazing at its beauty. Regret, he felt, when the ship moved off… then renewed excitement when she sailed into a large and wonderful harbour, busy with several freighters and other troopships – naval vessels anchored on the far side in front of a cluster of dockland cranes. As at Gibraltar, many small boats quickly surrounded the Galena, each with a man standing in its stern skilfully manoeuvring among the swarm by wiggling an oar from side to side. Looking back to the harbour entrance, Tommy saw stone buildings everywhere, not a brick in sight. Occasional horse-drawn carriages passed along a road on the side nearest the Galena. ‘Tommy procured his rations and chewed busily while trying to take in the great harbour scene: the naval ships, sailing craft, one of those fishing boats with a funnel and a sail at the stern, and lots of small boats being rowed or paddled busily between shore and ships. On the Galena’s foredeck, three horses, presumably officers’ mounts, were being released from the small containers in which they had spent the entire voyage, poor devils. Tommy could see these containers had sides and tops of padded leather, but the horses’ legs and bodies bore awful lacerations and discolourations. Tommy wondered if they could ever be restored to a decent condition. What a hell they had endured, confined thus and, for the first week, thrown about day and night. Tommy met up with Ted and Harold briefly and enjoyed pleasant speculation about the island, where they would live, and for how long they would remain there. One thing they knew for certain already – the temperature was higher than they had ever experienced, except on the very hottest days at home. They shared a particular happiness because they and the Galena would shortly part company. That ship was a bad’un and they’d had enough of her. Even while the men gathered in Companies, the ship eased towards a quay where the crew made it fast and placed two gangways in position. Captain Boden announced that six men would be needed from each Company to offload stores. CSM West asked H Company for volunteers… who would later travel on the transport wagons, he shrewdly added, whereas everyone else would march to their destination carrying their kitbags. Since the whole Company suddenly became volunteers, the CSM selected the biggest and beefiest. On reaching the road, Captain Boden turned left and, followed by his men in no particular formation, continued walking for some distance. Then he stopped and, loudly, requested the CSM to carry on. After ten days of confinement in the old ship, the smartness in drill which had become customary in England could not be regained immediately. All had recovered from their sickness, but lack of exercise and indifferent food had taken their toll. However, the novelty of being in a strange country – first steps on foreign soil for nearly all of them – and the certainty of release from their hammocks in the cargo holds made them anxious for a fresh start under their new officer. A hundred years ago this week… the German and Austrian Armies chalked up minor successes on Western and Eastern Fronts, with the usual extravagant cost in casualties, the French occupied Oyem in Cameroons (February 16), and U-boats began the “unrestricted” blockade of Great Britain (that is, torpedo attacks without warning; the German Government described their first such strike, on the 19th, against Norwegian merchantman SS Belridge as an error – and the vessel reached port). ‘The land mass now assumed a recognisable shape, presenting a picture which had faced Tommy every time he walked out of the classroom into the corridor during his last years at school. “That’s the rock of Gibraltar,” he yelled to all within hearing. Soon the regular throbbing of the engines changed to a slower beat and the shape of the rock altered as the Galena’s course changed, barely moving now, just veering slightly to the left. Excited soldiers packed the formerly unused, lonely decks. “There goes the Marook*,” shouted someone as a massive chain roared across the foredeck and vanished through an aperture. The chain stopped moving and slackened. A noisy week of raging winds and crashing waves and vibrating engines ended with a calm… in which men could converse without shouting and once more regard one another with interest, to see what degree of suffering had been endured by their comrades. An elderly H Company man looked at Tommy almost with amazement. He had obviously never been deceived about the boy’s age for he said: “I can’t believe it — a kid like you and you’ve grown a moustache”. ‘Numerous craft of various shapes and sizes moved about in the sheltered harbour and the bustle of activity lifted the weight of boredom from those — and they were the majority — who had wilted under it for a week. Bumboatmen rowed and bumped and jockeyed to secure positions near the ship’s sides, displaying their wares, holding up articles and deploying limited English to declaim their merits: “Very good, very nice, very cheap!” The soldiers called “How much?”, a question asked and understood in most parts of the world. Haggling about prices, with much use of fingers as counters, sometimes brought agreement. Then the seller would sling up a thin, coiled rope which the soldier endeavoured to catch. Eventually succeeding, the soldier coiled a couple of turns around his hand and let fall the rest of it, so that the seller could secure it to the handle of a basket. In most cases, this was the moment for fresh argument to commence. Naturally the boatman wished the buyer to haul up the basket, place in it the purchase money and lower it back down, whereas the buyer thought the goods should be sent up first – and used more gestures than words to make this point. Somebody had to give way, but the great reluctance down below to trust the doubtless honest man above suggested that some unscrupulous cads in uniform had passed that way before. Could there be a man so wicked as to empty a basket of its contents and then vanish among the men swarming over the decks without paying? Apparently so. Nonetheless, some small deals did reach completion. Tommy ventured a sixpenny purchase comprising four packets of ten cigarettes. He tried to smoke one, but it tasted awful. Blaming the strong sea air, he put them away for later use. 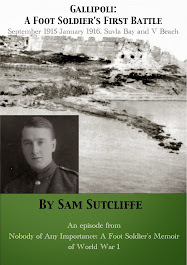 Next week: Finally, the Fusiliers step on to dry land – in Malta. ‘…he found that a blanket had been issued to each man. Removing his boots, he folded his greatcoat to form a pillow and arranged the blanket with a quarter of it hanging over the side to tuck around himself as he made himself comfortable. After several ungainly attempts, he succeeded in mounting the hammock and lay suspended perhaps 24 inches from the ceiling. One advantage to sleeping in a swinging net soon became obvious. When the ship did a sideways roll the hammock did not, it just hung there. However, when the ship’s nose dipped into a trough one could feel that all right. Head up, feet down… then vice versa, of course. A strange night, that first night at sea; half-awake for the most part, fully awake several times when the forepart of the ship seemed to receive a terrific blow. No alarm call followed… she hadn’t struck a rock… so one dozed off for a while. A crew member later told him the Galena* was “noted for her wallow”! 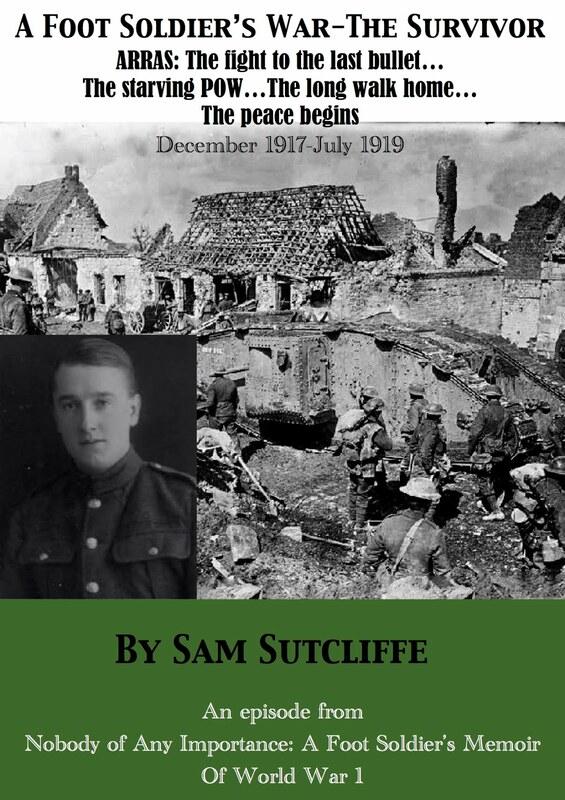 Always nauseated, Sam nonetheless resolved to keep eating whenever he could – “he chewed and swallowed with determination for seasickness seemed harder to endure if the stomach was empty”. 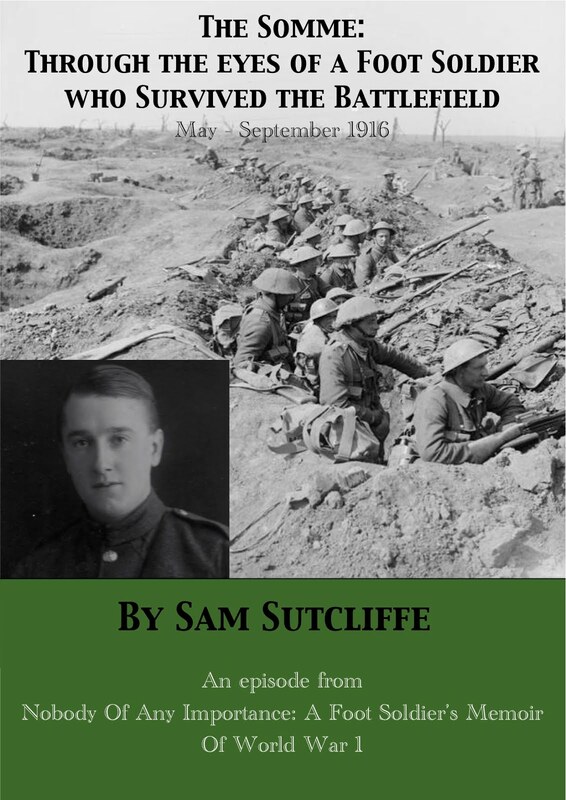 He ate dry bread and hard biscuits – no butter because what the Battalion Lieutenant Quartermaster provided proved rancid (for Sam, this man remained a hate figure all the way through to the beaches of Gallipoli). Some cheese. Stew from the communal dixie. ‘… [it contained] a washbasin and a lavatory with hinged seat and flush tank above. Faint light came through a small fixed porthole. He bolted the door and dealt with a wave of sickness which assailed him. The weakness caused by this regular vomiting made him appreciate the warmth and privacy of this little room. He sat and dozed at first, while endeavouring to keep wakeful in case someone really entitled to use the place should come along. However, no one disturbed him and, in due course, deep sleep for an hour or two did him a lot of good. No torpedoes came their way, though, and, finally, the old ship turned east. In the distance, land loomed. * Actual name SS Galeka – another of my father’s mysteriously discreet, thin disguises of actual names, in the spirit of calling Tonbridge Bunbridge! Next week: Gibraltar at last!